The Blizzard 500 inflatable tent sleeps five people in one bedroom behind a roomy living area with stand-up height at the apex. A versatile front entrance has twin zips so the door can be opened fully and raised as a canopy if required (upright poles are optional extra). 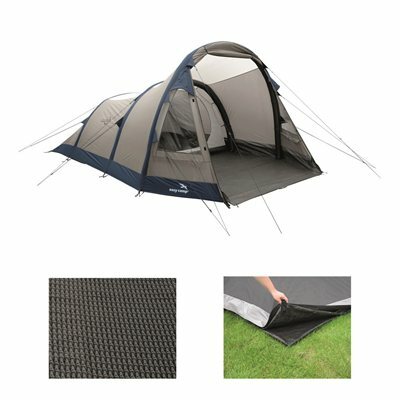 The upper half of the inner tent D-door has an insect screen which aids the airflow offered by twin front vents and a large rear vent. Organiser pockets in the bedroom and by the door offer handy storage options. With curtained windows, small pack size and low weight it is ideal for five persons.